Do bad things really happen in threes? For yoga instructor Kate Davidson, it seems they do—and it also seems that no good deed goes unpunished. Kate’s life takes a chaotic turn when she agrees to be the doula for her pregnant best friend—and to play foster mother to two puppies. 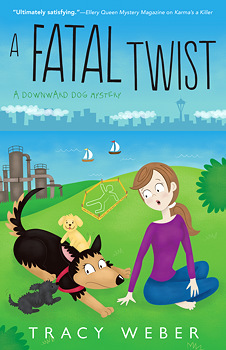 As if the terrible two puppies aren’t destructive (and disruptive) enough, things get exponentially worse when Kate finds the dead body of a philandering fertility doctor and sees Rachel, one of her yoga students, fleeing the scene. Convinced of Rachel’s innocence, Kate sets out to find the real killer before her testimony condemns Rachel to a life behind bars. But who else would have wanted the doctor dead? Kate quickly realizes that there is no shortage of suspects: Could the killer have been Rachel’s troubled teenage daughter? A jilted ex-mistress? The doctor’s latest squeeze? An angry former patient? A fed-up business partner? And what’s the story about those lawsuits against the deceased doctor? Seems this not-so-good doctor had his fair share of enemies. Finding more questions than answers, Kate launches a race against time to find the truth. 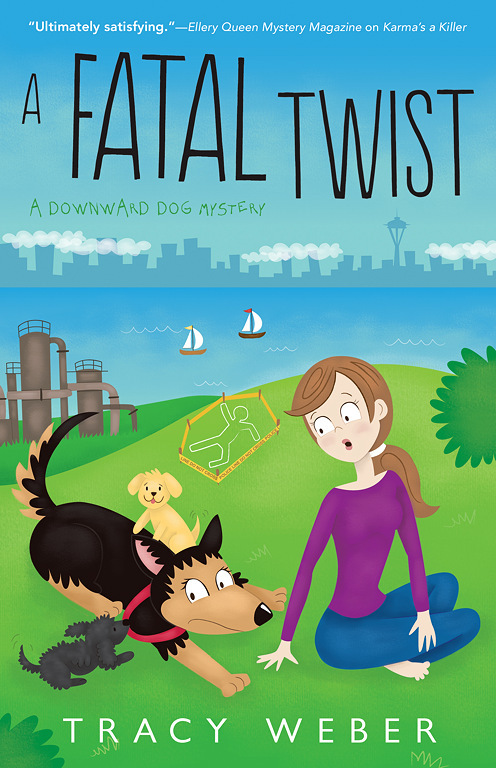 But how much sleuthing can Kate really do when her hands are full with caring for three dogs, teaching yoga classes, and gaining an unexpected crime-solving partner? If Kate isn’t careful, her next yoga pose may be a fatal one.